Australian brand of wine Yellow Tail, produced by Casella Family Brands, has released a new commercial, introducing a new tagline “tastes like happy”. 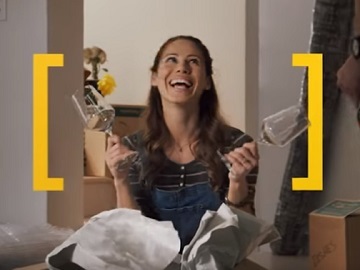 The 30-second ad features a variety of people of different ages and backgrounds enjoying a glass of [yellow tail] on different occasions, while the voiceover says what this wine tastes like. “[yellow tail] tastes like a very long breath after a very long week, like life-long bonds and well-deserved promotions, like the online date who actually looks like their profile picture, like crushing your best man speech. It tastes like this, like that, like finding exactly what you’re looking for, like being in the rigt place, at the rigt time,” the voiceover says, adding the strapline “[yellow tail] wine tastes like [happy]”. In 2017, Yellow Tail became the first wine brand to air a Big Game ad in 40 years. The company reportedly spent $5 million for the 30-second ad, aimed at making American consumers buy the Australian wine.